​In the landscape of an ever-changing industry, it can be difficult to keep tabs on enormous amounts of information needed to operate a successful pharmaceutical processing or engineering plant. As an up-and-coming informational outlet, this site provides the most pertinent and insightful content, hand-picked for professionals in the industry. Now more than ever, companies must continually analyse their processes, solve manufacturing problems as they emerge, and evolve in order to remain competitive. 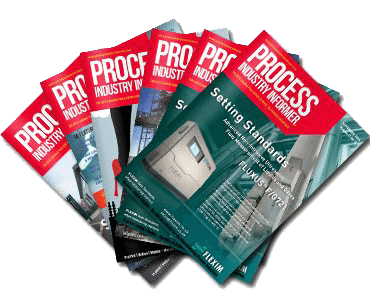 Managers, engineers, and other facility decision-makers can effortlessly remain in-the-know on what matters most in this global, multi-billion-dollar industry, simply by browsing this site and reading the latest Pharmaceutical Processing News. ​Get up-to-date information on regulatory changes and business-related pharmaceutical engineering news. Operating a facility in today’s market requires an extensive understanding what’s happening in both local and international jurisdictions. This site separates out the noise to make it easy for professionals to hone in on the topics that are most relevant to compliance and safety, even on a global scale. Comprehensive coverage of current events and happenings will also be found throughout the pages of this online pharmaceutical engineering magazine, keeping readers in touch with vital news as it unfolds. Information for numerous niches within the industry is just a click or a tap away. Get facts about the latest innovations and newest technologies from a one-stop online pharmaceutical manufacturing magazine. Though the market may present unique challenges, exciting developments are continually arising to simplify pharmaceutical manufacturing. This site provides information and data on the latest vendors, products, and procedural advancements, to make it easier for decision-makers to identify useful and actionable solutions to benefit the facility’s production or safety.Read about the things that matter most to industry professionals. Read about the things that matter most to industry professionals. An all-encompassing pharmaceutical processing news source, created for industry professionals. Though emerging, this site aims to be the leading informational source for all pharmaceutical engineering and processing news. Up-to-date coverage will be available, and content will be regularly added to the archives to create a complete database of industry-related information. For quick and easy access later, be sure to bookmark this site now.